At Dr. John D. Rinehart's, ensuring comfort and providing quality services are our top priorities. Our staff aims to provide you with caring support and individualized treatments to make your dental experience comfortable and anxiety-free. Dr. John D. Rinehart takes pride in his knowledgeable staff. For example, Expanded Function Dental Assistants are highly qualified dental professionals who work very closely with Dr. Rinehart's patients. The EFDAs go through extensive training to perform valuable services, such as composite restorations and temporary crowns. It was in the fall of 1979 when Dr. John Rinehart first opened the doors to his general dentistry private practice in Danville. From that day forward, it was obvious to his patients and those who work around him that Dr. Rinehart loves his profession. Approaching every patient case with passion and precision, Dr. Rinehart has created spectacular results and continues to build and improve his practice. Now, almost 38 years later, Dr. Rinehart has developed his practice into a symbol of dental excellence -- transforming smile after smile. His new state-of-the-art facility provides a comfortable environment for his patients to receive premier service. At Dr. Rinehart’s office, his patients are truly like family! When he’s not busy providing excellent dental service, Dr. Rinehart enjoys golfing, cooking, and hiking. He is also a member of prominent associations, such as the American Dental Association and the American Academy of Cosmetic Dentistry. Dr. Marr is a native of Turbotville, PA and attended high school at Warrior Run High School. He was a three sport athlete (soccer, basketball and track) and graduated in 2004. Dr. Marr attended Susquehanna University for his undergraduate studies where he majored in Biology and minored in Health care studies. He also participated on the track team becoming the first All-American high jumper for the university. 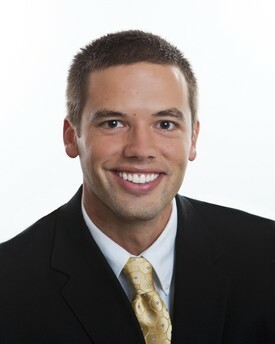 Dr. Marr joins our practice after graduating from the University of Pittsburgh School of Dental Medicine and completing his residency program at St. Elizabeth Health Center in Youngstown, Ohio. He is a member of the ADA and AGD. Dr. Marr shares my practice philosophy of working with each individual to provide the best quality of care. “As a general dentist I understand dental fears and the cosmetic needs of each patient. I strive to make them as comfortable as possible while they are in the chair leaving them with the feeling of having a confident smile. I realize the importance of oral health and its relationship with systemic or whole body health. I am dedicated to improving the oral health of each patient thereby allowing them to live a better, healthier life.” He brings enthusiasm, poise, and a kind, gentle nature with him to our practice. His interests include working out and playing sports as well as spending time with family, friends and his dog Duke. 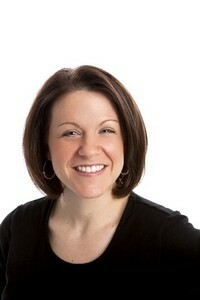 I am confident you will find Dr. Marr's personality and skills will compliment our dental team. The addition of Dr. Marr is exciting to us, as it allows us to better serve our patients. There will be more appointment options available and more procedures will be kept within our office. We will also be able to see patients in a more timely fashion. 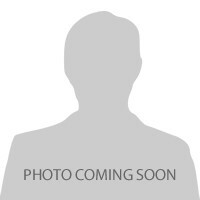 Dr. Murdock is a native of Elysburg, PA, where he currently resides with his wife, Jess. He graduated from Southern Columbia Area High School in 2003 and was a three sport athlete for the Tigers, winning state championships in baseball (2000) and football (2002). Dr. Murdock completed his undergraduate studies from Lycoming College in 2007 with a B.S. degree in Biology. He was a member of the football team for the Warriors as defensive back and punt returner, receiving All-Conference honors 3 times. 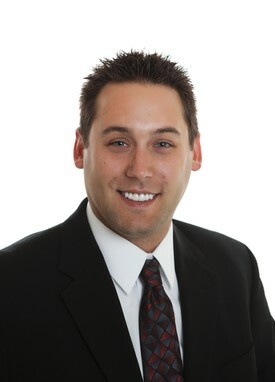 Dr. Murdock joins our practice after earning his dental degree from the University at Buffalo School of Dental Medicine and completing a General Practice Residency from St. Joseph Medical Center in Reading, PA. He is a member of the ADA and AGD. "My vision as a general dentist is to surround each individual I treat with dignity, compassion, and top quality care. I strongly value the importance of dental education, and strive to meet each and every comprehensive and cosmetic goal of those I treat. I understand that for many individuals, visiting a dentist can be a fearful experience. I feel confident that our surroundings and compassionate staff will ease those fears and allow you to leave feeling like family." His interests include golfing, landscaping, and spending time with family and friends. Dr. Murdock is also an avid Philadelphia sports fan! Dr. Mendia is a member of the American Dental Society of Anesthesiology, American Society of Dentist Anesthesiologists, New Jersey Dental Association, and American Dental Association. He holds certifications in Basic Life Support (BLS), Advanced Cardiac Life Support (ACLS), and Pediatric Advanced Life Support (PALS). 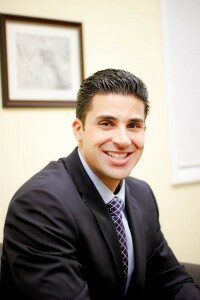 Dr. Mendia resides in northern New Jersey with his wife and son. His personal interests include sporting events, physical fitness, and travel. Patti is the second of three sisters, and resides in northern Columbia County. Her hobbies include cooking, crafts, decorating, and reading. Christine lives in central PA with her husband and 2 children. 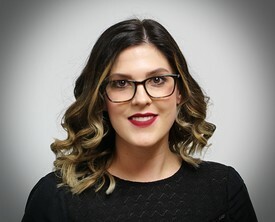 She attended Indiana University of Pennsylvania in the College of Business Pre-law as well as the Art Institute of Pittsburgh in the Residential Design program. She enjoys her family, her children's sports (Soccer and Drag Racing! ), decorating, reading, and horseback riding. 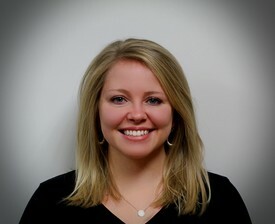 She is most likely the smiling face who will greet you when you arrive at our office. Bernae graduated from Central Columbia High School. She obtained her Expanded Functions Dental Assistant certification from Luzerne County Community College with honors. Bernae enjoys spending her time gardening, practicing yoga, and doing cross stitch. Bernae is originally from the Bloomsburg area & resides in Danville. Bernae has 2 pets, her German Shepard , Zoey & her cat , Frannie. "I enjoy helping patients boost their confidence , as well as, making them feel comfortable in our office. I consider myself fortunate to work in an office where patient education & quality of care come first. " “I get great satisfaction in helping patients attain a new level of confidence by simply enhancing their smile. Dr. Rinehart has an amazing artistic ability to transform smiles from average to spectacular! It is obvious that he truly does what he loves!" Dr Mike Marr and Dr Matt Murdock have added so much depth to our practice. Procedures we used to refer out can now be kept in house. I am blessed to work with 3 amazing dentists! 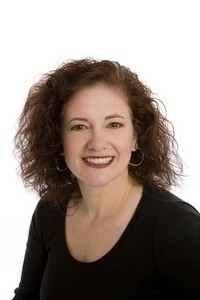 Julie grew up in the restaurant business in Benton, PA and received her degree in Dental Hygiene from Penn College. Her hobbies include hiking with her dog Jersey, boot camp instructor, paddle boarding, and listening to live music. Lyndsey graduated from Williamsport High School and Penn College, where she was in the top of her class and received high honors in the Dental Hygiene Program. Linda grew up in Mount Carmel and graduated from Mount Carmel High School. She is a graduate of Northampton Community College with a degree in dental hygiene. Linda resides in Catawissa with her husband and their two wonderful children. She enjoys spending time with her family and watching her son play football and her daughter play soccer. Jenn resides in Fowlersville with her husband and two daughters. She graduated from the University of Pittsburgh with a degree in Dental Hygiene. During her spare time she likes to sew, do projects around their old farmhouse, hike and spend time with her family. 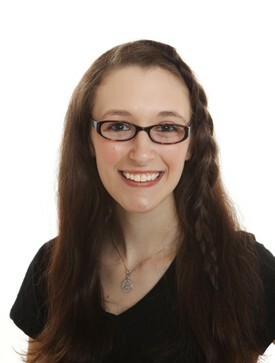 Kaitlyn grew up in Danville and graduated from Columbia Montour Vo-tech. 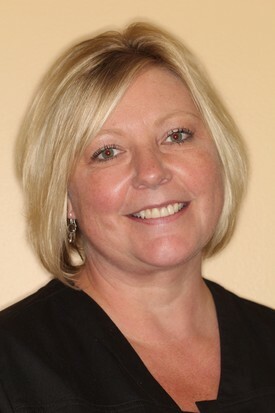 She studied dental assisting and received her Dental Hygiene degree from Luzerne County Community College. Kaitlyn enjoys playing softball, riding dirt bikes, and listening to bluegrass music. She also enjoys relaxing at home with her pet cats. Brandi grew up in Nescopeck, PA and graduated from Berwick HS. She obtained her B.S. in Biology at Bloomsburg University and graduated from Luzerne County Community College with her Associate degree in Dental Hygiene. Brandi enjoys travelling with friends, practicing yoga and spending time with family. Amy resides in Bloomsburg with her husband. She enjoys spending time with her children and other family members. Her hobbies include riding 4 wheelers, shopping and traveling. Sarah lives in new Columbia with her boyfriend and their two fur babies, Sadie and Jake. She graduated from Milton High School and obtained h er degree in Dental Hygiene from Penn College. Sarah enjoys shopping, reading, and spending time with her friends and family. 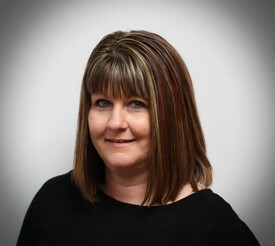 Kim has 28 years experience as an EFDA and business management. She resides in Middleburg with her husband and their dogs. She enjoys grooming dogs in her new salon and her hobbies are home decorating, riding bicycle and motorcycle with her husband, and spending time with their family, friends & DOGS! 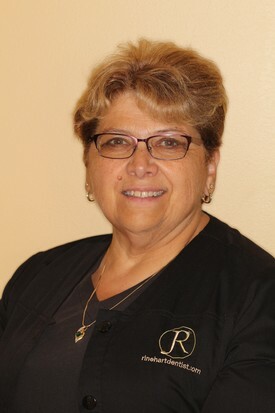 Barb has 43 years of experience in the dental field, as both an assistant and a registered dental hygienist. She resides in New Columbia with her husband, Jim and their kitties. She enjoys gardening, painting and chillin' with her family and friends. 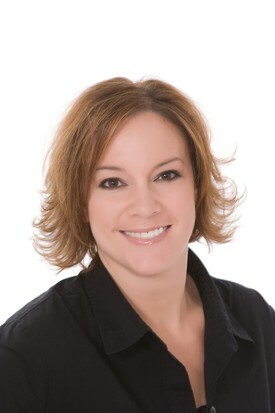 Lori is a registered dental hygienist, she has joined our team to work both as a dental assistant as well as a hygienist. Lori earned her degree at Pennsylvania College of Technology and continues to further her education there as she works full-time with us. Lori resides in Selinsgrove, where she enjoys time with family, friends and her furkids.